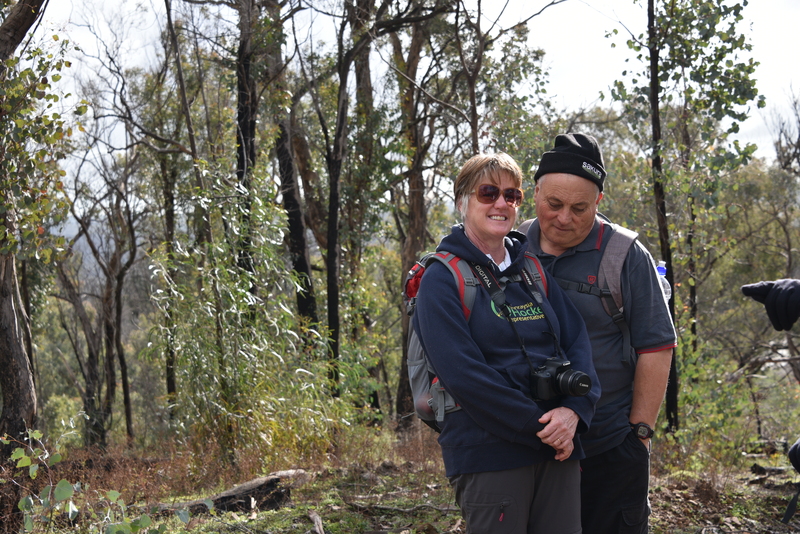 14k Bush walk our walk leader describes as undulating with a hope to view snow capped mountains of the Main Range. 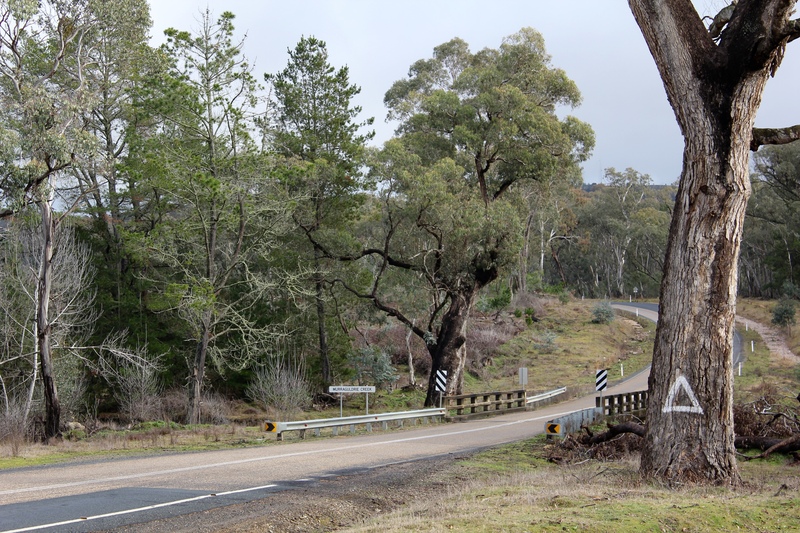 Following the Tumbarumba Road over the Hume Highway and just over the bridge on the right of the Murragoldrie Creek there is a nice spot to park our cars enjoy a ‘cuppa’ and look over the map of our walk. We are to conquer the hilly section first and enjoy a nice walk back along the flats – all sounds good so far. After last nights rain we are expecting some bogginess but to start off with all is well, the ground is firm, nice clean air and delightful forest smells washed by rain. Not far into the walk the track takes a more steeper incline, up and up, thankfully it is interspersed with nicely situated plateaus – 100m up in 1.5km. Our new recruit is doing very well but all of us are enjoying the short breaks with accompanying views. We now proceed along the Ben Lomond Ridge which I would describe as ‘up hill and down dale’ with more of the ups than downs. Shane and I are quite challenged and all the group is ready for a break and some lunch. The clouds are persistently hugging the higher ranges from view so unfortunately no snow capped mountains to see but plenty to look at from our picnic spot. Our lunch picnic spot where the forest meets the farm. Just a little more hard climbing and we are finally up to the undulating section of our walk into Gentle Annie Saddle. 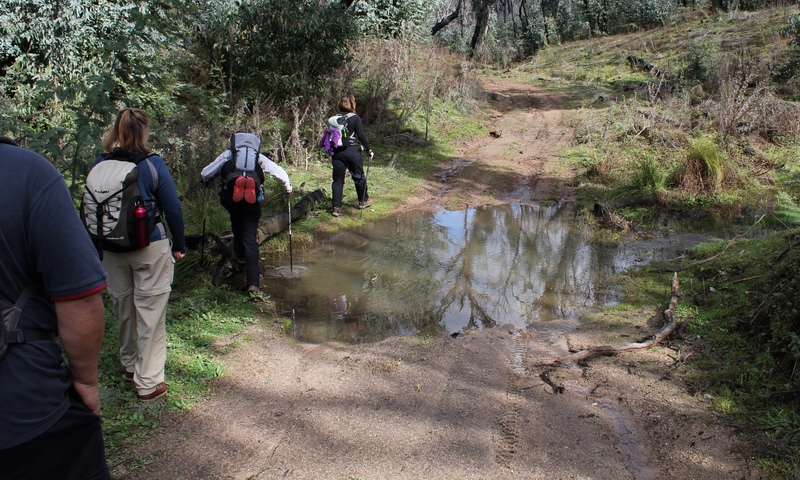 This is much easier but does have its own problems as we find the ground much wetter with some challenging water obstacles – it seems that walking sticks come into their own at these places. Which way to go? The map and the GPS gadgets come out with a short conference on which direction – apparently all roads lead back, eventually, but just need to make sure we are not ‘looping’ back too quickly. I think its time I learn a new skill – finding my own way around and I also think I really want one of those GPS gadgets! 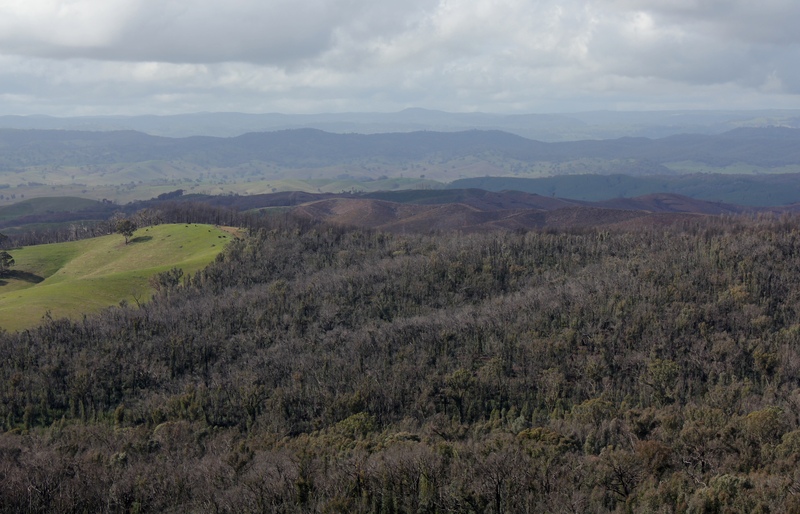 A fire raged through here in January 2014 and so to see new growth and the forest recovering so well is great. We end our walk with one detour, a very wet track, tired but happy. 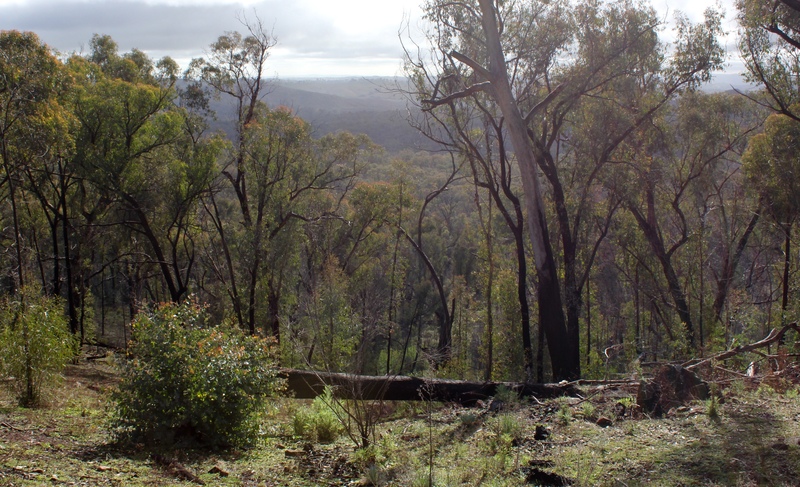 This entry was posted in Bush Walking and tagged Ben Lomond Ridge, Gentle Annie Saddle, Murragoldrie State Forest on July 26, 2015 by peakesj6.